Every industry is exposed to varying degrees of risk. However, it is widely understood that operating companies should take appropriate action to mitigate existing levels of risk as much as they can and protect their workers. The mining industry is no different as it involves an inherent amount of risk in varying forms. As some of that risk can be significant – and cause people harm – it’s imperative that steps are taken to manage potential on-site hazards. Providing a safe and healthy workplace is a first priority for mining companies that have a variety of systems, processes and controls in place to help them achieve this. Identifying the critical safety risks that are specific to the mining industry and the controls needed to prevent those from causing incidents, or reduce their consequences should they happen, is a key priority for safety improvement. Mining companies need to focus not only on systems and technological innovations, but also on the employee behaviour, attitude and motivation needed to create a strong safety culture. This kind of change, positively changing employee attitudes and behaviours one by one, requires a substantial investment of time and effort. Through taking such a holistic approach, companies can practice better safety. Such measures will help companies to achieve zero harm more quickly and effectively. To accomplish this, comprehensive processes such as ‘Learning from Incidents’ (LFI) can be used to rigorously investigate incidents that occur at sites. As a result of these investigations, it is possible to determine the root causes of why they happened and the measures needed to address them. This includes identifying absent or ineffective controls so that these can be immediately put in place or improved, helping to ensure that health and safety measures are as effective as they can possibly be. Following in the footsteps of other industries, the mining industry is embracing innovation and exploring how smart technology can not only improve its productivity, but make its mines safer places for employees. Digital technology, enabled by the rise of the Internet of Things (IoT), is being increasingly deployed to enhance the safety of workers as they go about their work in the mine. As smart devices installed in mines collate more and more data, mining companies are analysing this data to gain valuable insights into the mines and where potential risk points may be. They can use this data to establish risk patterns, which can then be used to make improvements that may prevent future incidents. While ensuring worker compliance with health and safety regulations, such as wearing the appropriate workwear and protective equipment, the industry is embracing wearable technology which is able to relay data about an individual’s health and wellbeing back to safety managers. Such technology can either be worn or built into existing workwear to increase workplace safety. These devices can collect data about the worker’s surroundings, such as air quality or proximity to hazards, and feed this back so safety alerts can be issued directly to an employee if necessary. Anglo American, for example, is working on combining data from its drills, on their surrounding environments, with physical locations to create “active risk maps.” These are all part of measures the industry is taking to create safer working conditions. As part of improving the control management systems that mining companies have in place, it’s essential to consider culture and behaviour and the significant role this plays in creating a healthy safety culture. According to a Deloitte report entitled ‘Tracking the trends 2016: the top 10 issues mining companies will face in the coming year’, leading mining companies realise that “safety isn’t only function of process-driven policies” but also requires the “promotion of a culture of safety.” For workers to carry out tasks safely, it’s important that they understand their individual role in creating a safe work environment for themselves and their colleagues. Addressing the ‘human factor’ in all safety incidents is becoming a significant part in not only ensuring the safety of workers but learning how to make them even safer as they go about their work. It is increasingly recognised by the industry that employees must not just be safe physically, but mentally as well to create a working environment which is both secure and productive. IoT enabled devices are allowing mining companies to increase their awareness of various factors which may affect a miner’s welfare and allows them to act on this insight before it becomes a safety risk. 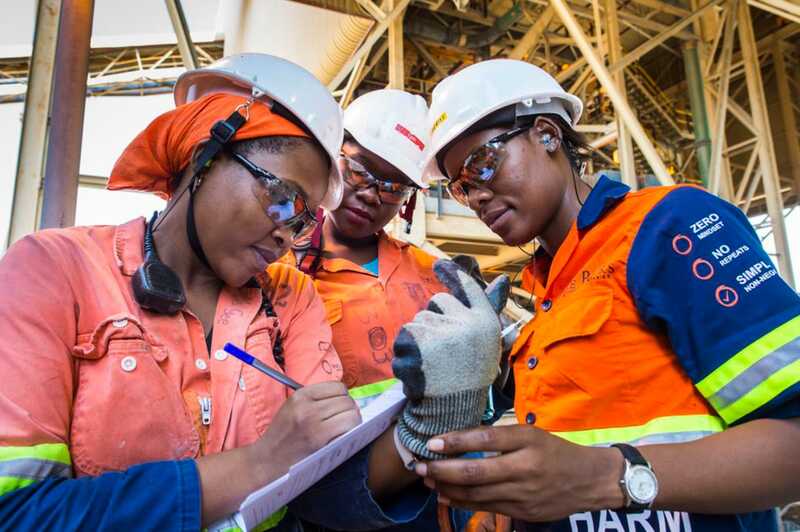 The emphasis on the importance of such a culture has led Anglo American to recently implement and measure a psychological-based technique called Human Factor Analysis (HFA). HFA is one of several tools that helps them to identify the lessons it must learn from incidents. HFA’s contribution is to examine the human, behavioural and cultural factors that each play a role in an accident. Once these factors have been highlighted, they can be used to inform the creation of appropriate actions and strategies for preventing similar incidents. In this way the company is able to see not just what technical or procedural changes are needed to improve control use, but also the behaviours and attitudes required. It is this in combination that helps them improve safety control use and effectiveness. When using HFA, the first step is to identify the factors that led to or contributed to an accident. There are three different levels involved in this: workplace, organisational and personal. Workplace examines the broader context in which the accident occurred, the task itself and the level of engagement. Organisational focuses on the corporate imperatives, decision-making processes and links with leadership, revealing the role that the organisational culture played. Personal provides a clearer picture of what was going on at the time for the people who were directly involved in the accident. At this stage, aspects such as an individual’s health, capability, fitness, and situational awareness, as well as team-related elements such as leadership, cohesion, dynamics, process and diversity are all taken into account. Once an HFA investigation has been concluded, appropriate recommendations and changes can be made to ensure the right risk management processes and controls are in place. These also inform the broader safety strategy and procedures of our business – from group level to mine management. Such measures are helping companies in the mining industry to move forward towards realising their vision of ‘zero harm’. Mining companies are working towards a robust implementation of critical controls for critical risks and also strengthening their safety cultures by making their approach more personal. Smart technologies, as well as programmes such as HFA, are enabling mining companies more than ever to learn from previous incidents and take proactive measures to prevent new ones. Rene Aguilar is Group Head of Safety for Anglo American, providing leadership on all safety matters. Rene is responsible for leading the development of Anglo American’s safety vision, policy and strategy and also leads the development of standards, processes and management systems to facilitate the delivery of Anglo American’s global safety strategy. Anglo American is a global and diversified mining business that provides the raw materials essential for economic development and modern life.